A sophisticated design in your choice of palette. Charcoal and mustard featured in this listing. ➳ More custom items available upon request! ➳ Kraft paper and white envelopes are 100% post consumer waste. ➳ Alternative envelopes in a rainbow of colors and finishes available upon request. ① You purchase the listing from our Etsy shop. This price acts as your deposit. During purchase, you provide your customization details. ③ A private listing is created for you with your perfected item. The price of this listing will be for the entire package you have requested, minus the deposit. 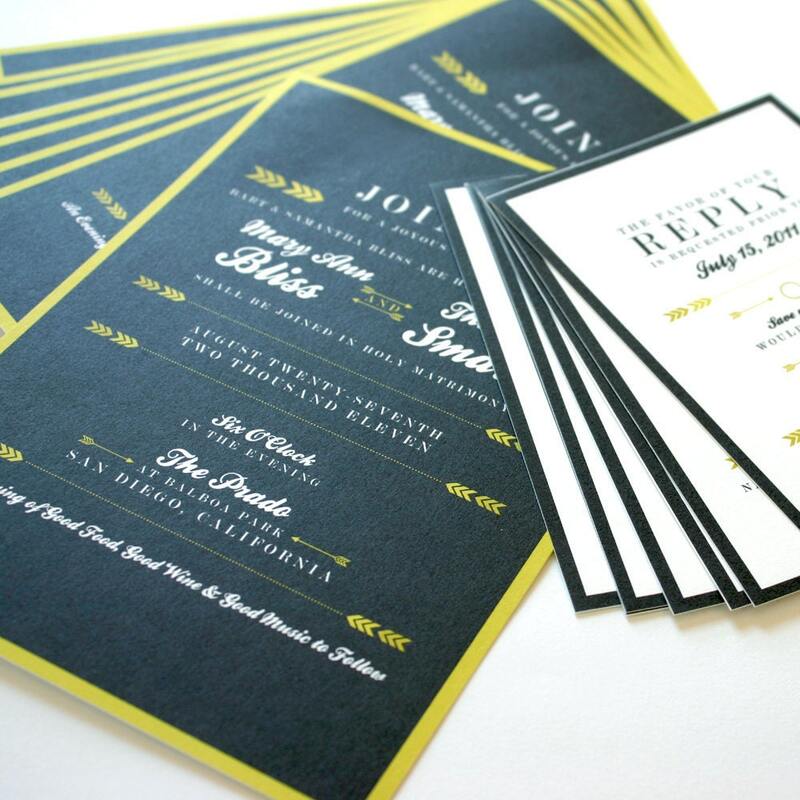 Want the Struck suite for your wedding stationery? Convo Mountain Paper for a complete quote!